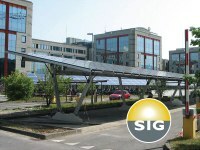 Giulio Barbieri S.p.A. has recently obtained one of the most meaningful references concerning photovoltaics: several of its solar carports 'Energy Parking', equipped with PV modules branded SunPower, have been installed in the corporate parking lots at the headquarters of the state-owned 'Services Industriels de Genève' (shortly SIG), the Swiss utility company. The tender has been awarded by the Swiss company SUNERGIC S.A., Giulio Barbieri's commercial partner. This unique solar carport system 'Energy Parking' is the result of a successful combination between an exclusive top design on one side and the quality of all materials used on the other side, i.e. resistant aluminium anodised profiles for the supporting structure and high-performance solar panels for the cover. This installation gained the attention of all renewable sector managers. Mr. Giulio Barbieri, owner and chief of the eponymous company, attended personally the site during the installation phases. It was a real record time experience: the activation of the 400 kW solar mega plant took place only after little more than a month since the beginning of the works. 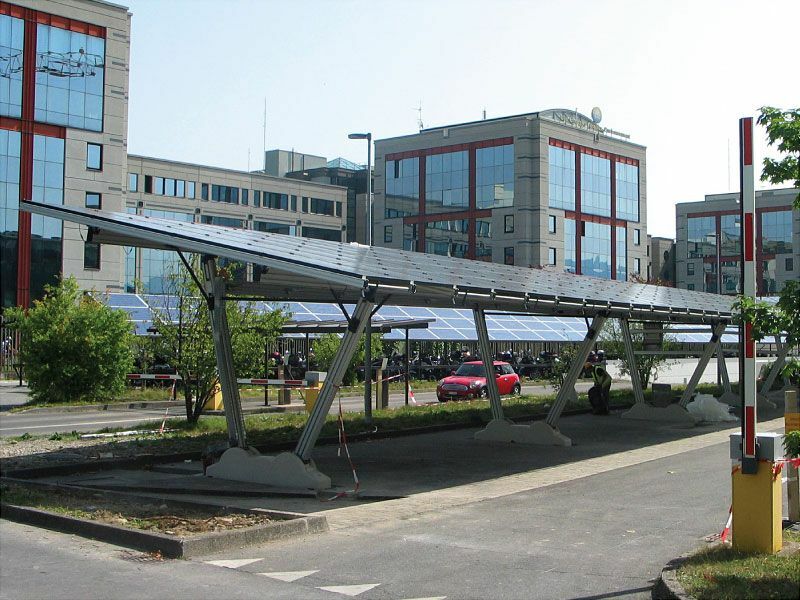 The extraordinary features that characterize the solar canopy 'Energy Parking' contributed crucially to this goal. The installation indeed never requires foundations thanks to the presence of special bases made of reinforced concrete that held the entire structure.